Mr. B's Lock And Key | Locksmith Cincinnati, OH 513-251-KEYS(5397) 4539 W. 8th St.
Locksmith Cincinnati, OH 513-251-KEYS(5397) 4539 W. 8th St.
Mortise Lock vs. Cylindrical Lock. There are some big and important differences between the two, yet time and again we see the incorrect type of lock specified and installed, costing facilities money in either excessive repairs or unnecessary spend on hardware. Let’s start with the basics and review the difference between a mortise lock and a cylindrical lock. MORTISE LOCK VS. CYLINDRICAL LOCK – WHAT’S THE DIFFERENCE? If you look at the side of a door and there is a long plate around the latch bolt, the lock is likely a mortise lock, which are installed into a pocket (the mortise) cut into the side of the door. If the plate around the latchbolt is short, you likely have a cylindrical lock on your hands. The body of a cylindrical lock is installed through the face of the door. WHEN DO YOU NEED A MORTISE LOCK? Mortise locks bring a host of benefits to the table and are available in a host of different lock functions – many more than cylindrical locks offer. They are also incredibly durable because the bolts are bigger. 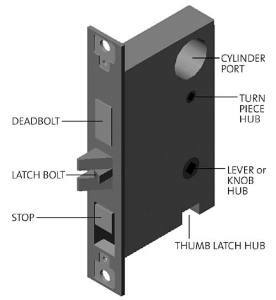 The deadbolt is incorporated into the lock body, which makes it more secure, and it allows for the added benefit of releasing both the latch and the deadbolt when you turn the lever. Because of heavier duty interior construction and heartier inner components, mortise locks can withstand a higher cycle count, or number of operations. Mortise locks also come in a wide variety of design options, from sleek stainless steel to antique, rustic to contemporary. You also get a larger selection of trims and roses than you do with cylindrical locks. So, what’s the downside? Price. They can be very expensive; often times three to four times the cost of a cylindrical lock. WHEN DO YOU NEED A CYLINDRICAL LOCK? While all of the benefits of a mortise lock may sound appealing, the high cost often hinders people from putting these locks on every door. Often, the added benefits of a mortise lock simply are not worth the high price. Cylindrical locks are not only cheaper to purchase, their much simpler construction allows for a quicker installation, making them cheaper to install as well. Most doors come factory-prepped for cylindrical locks. If you are retrofitting an existing door, chances are you will have to bore the door to prep it for a mortise lock; whereas, you could simply install a new cylindrical lock. There are still a wide variety of lock functions for cylindrical locks, and grade one levers are made to withstand high cycle counts. You can even get cylindrical locks with heavy-duty bolts. If you have any questions or need help determining which lock type is best for you, let us know. Locks: Most people don’t realize that their locks are installed wrong. It is a great idea to have professional locksmith come and inspect all of your locks and windows. If a lock is installed incorrectly a burglar can use a simple credit card to enter your home. For every door going into your home you should also have a deadbolt installed. 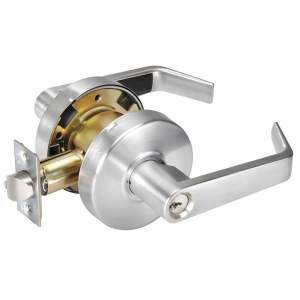 Having a heavy duty deadbolt on your door will greatly lower the risk of having your door kicked in. Most theft is committed by someone you know. If you suspect someone is getting in without forced entry, it is time to have your locks changed to a new key. Keys are also available with Do Not Duplicate stamped on the head of the key. It is unlawful for any locksmith to copy that key without proper identification. Beware of the garage: Garages are a common entry point for burglars. Open garage doors serve to advertise your belongings to passersby, which increases the likelihood of theft. So, homeowners should make sure their garage door remains closed anytime they aren’t present. Try to take valuables out of view of your garage door windows as well. Be a neighbor: Neighbors can play a key role in preventing home thefts. Homeowners on friendly terms with their neighbors are less likely to be victimized by other members of their community. At the same time, closely knit neighbors are more likely to call the police if they see someone suspicious poking around your property. Keep valuables outside the bedroom: A burglar on the hunt for valuables in a home will make the master bedroom their first stop—since that’s where the cash and jewelry are most commonly stored. So if you do keep such valuables on your property, find another room to store them. There are also many variations of safes if you do decide to key valuables in your home. Speak with a locksmith on which safe suites your personal need and budget. No land escaping: Burglars prefer to target homes that have hiding spots and escape routes in the yards, and abundant bushes and trees make for great cover. Yards with less shrubbery and more open spaces aren’t particularly appealing targets. If the home is open and relatively exposed, it will deter the burglar from entering, due to lack of hiding spots if things go wrong. Install motion sensors: Light is a great deterrent for nighttime break-ins. We recommend homeowners install motion sensors on outdoor lights that turn on automatically if someone triggers them. This simple and cheap step could save your home from being burglarized. Radio or TV running: Noise helps prevent burglaries as well. 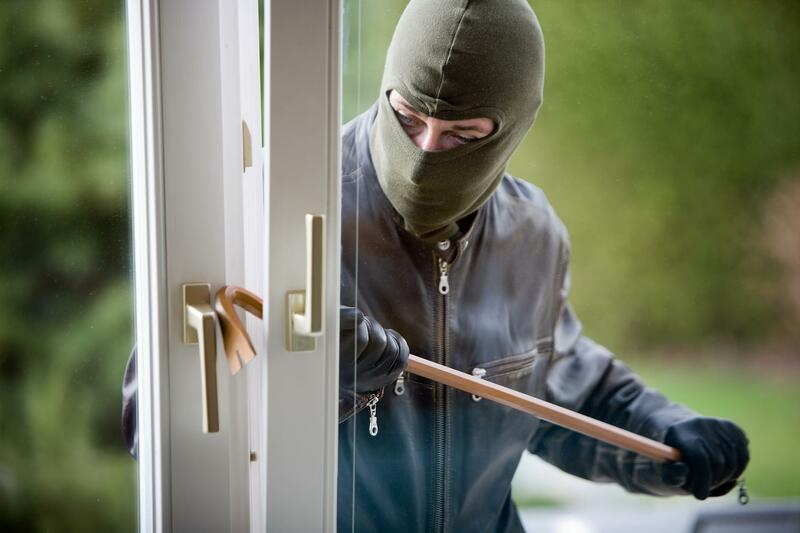 Your home is more likely to be burglarized during the day. Have a radio or T.V. playing when you are away from your home. We here at Mr. B’s Locks & Keys always stress to our customers the importance of having a second or even third key. For any lock that you have it is always a good idea to have a duplicate key made. If you lose your only key, the cost is away much more to have a new key originated. You must factor in the service call and labor to make a new key for anything. If your vehicle has a transponder and you lose the only key, your cost is going to be more than having an additional key made. If you can’t afford a new key always consider getting a “Dummy” key made. This won’t start your vehicle, but at least you will have the cuts of your key. Plus if you ever lock yourself out you can open the doors with that key. Welcome to Mr. B’s Locks & Keys. Thank you for reading our blog. We will be posting tips and helpful facts to help assist you and your locks. Check out our website as well http://www.mrkeyguy.com or Call us at 513-251-KEYS if you need our services. 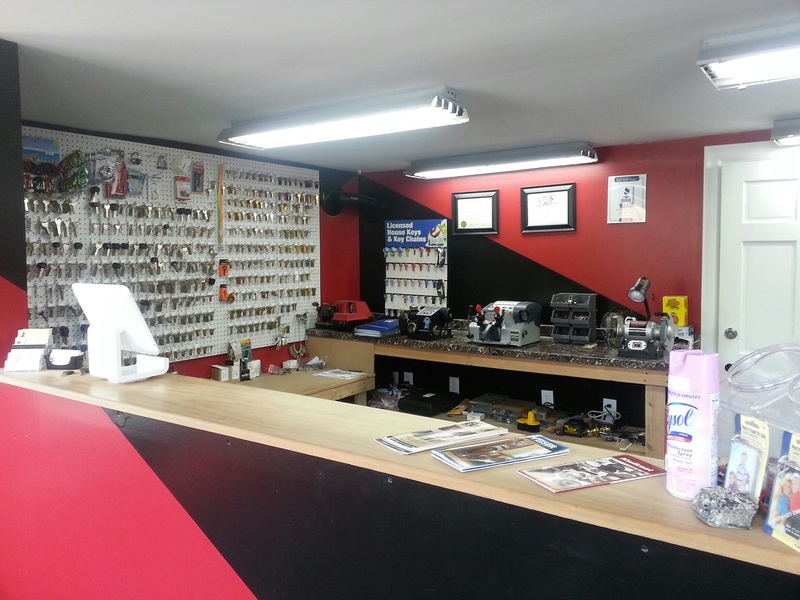 We look forward to taking care of all your locksmith needs. M-F : 10:00 A.M. - 6:00 P. M.
Sat : 10:00 A.M. - 2:00 P.M.